Domestic fuel stockpiles tumbled more than analysts expected, while crude supplies expanded for a third straight week, according to the Energy Information Administration. Oil has climbed more than 40% in New York this year as OPEC works to trim output and help balance global oil markets. Further supply threats due to fighting in Libya, as well as troubles in Venezuela, also have supported crude oil. Yet, gains remain limited due to fears of a slowing global economy. On April 9, the International Monetary Fund predicted this year would see the weakest growth since the financial crisis. West Texas Intermediate for May delivery climbed 63 cents to settle at $64.61 a barrel on the New York Mercantile Exchange. Prices remain above the 200-day moving average after they breached that level earlier this month for the first time since October. Gasoline for May delivery closed at $2.0692 a gallon, the highest level since October. Brent for June settlement advanced $1.12 to close at $71.73 a barrel on the London-based ICE Futures Europe exchange. The global benchmark crude traded at a premium of $7.08 to WTI for the same month. 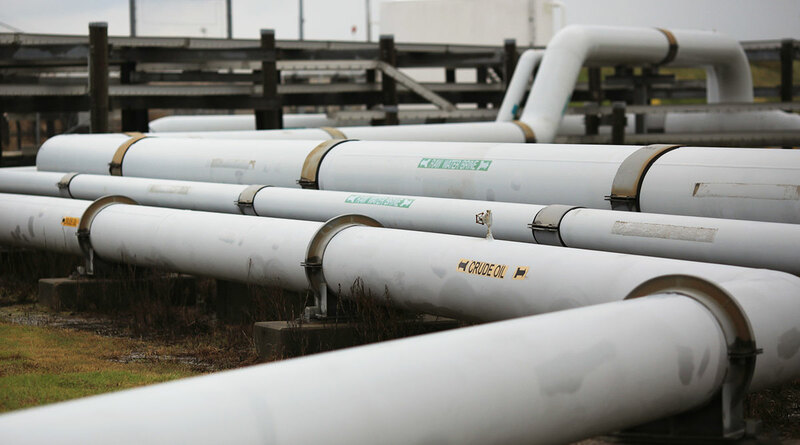 Meanwhile, the EIA report also showed U.S. crude stockpiles rose 7.03 million barrels last week to the highest level since November 2017. U.S. crude production held at a record 12.2 million barrels a day.